The brushed texture of the front panel adds an elegant element to your workstation or office. 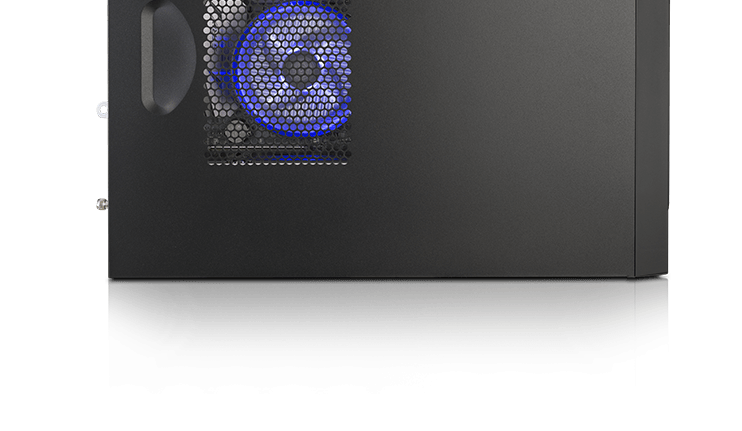 The MasterBox E300L comes pre-installed with a single 120mm fan in the front. 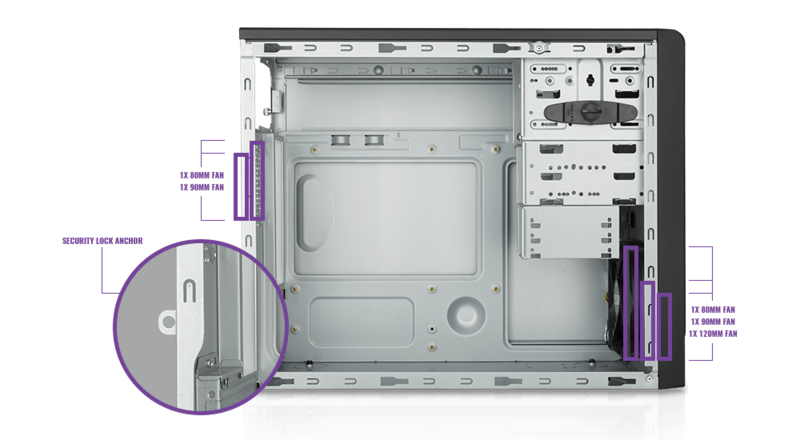 The front supports a single 80mm, 90mm and 120mm fan. 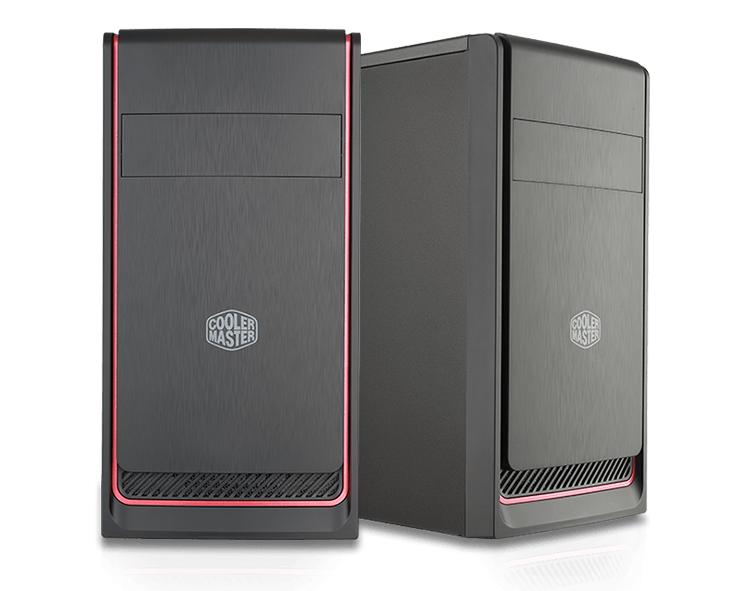 The rear supports a single 80mm or 90mm fan. 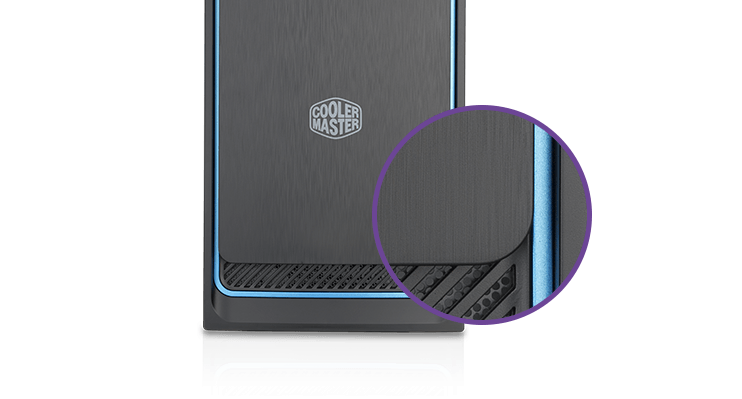 The perforated side panel allows for additional airflow for direct cooling on the CPU. 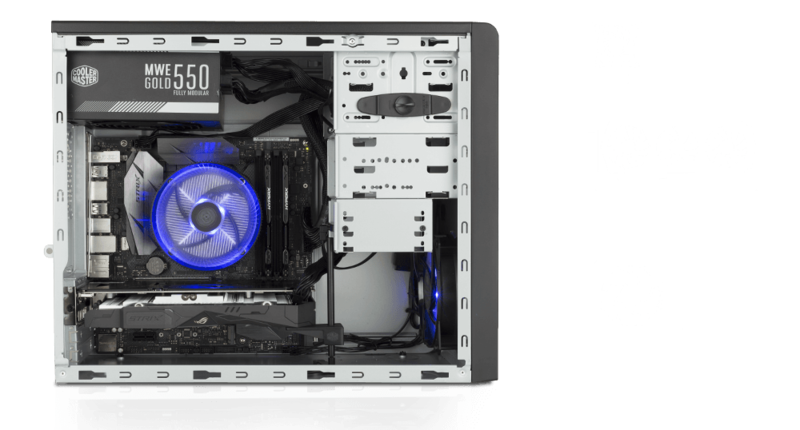 The MasterBox E300L case supports CPU-Coolers up to a height of 148mm, Graphic Cards up to a length of 363mm and Power Supplies up to a length of 180mm.